DIY printable party packages include all you'll need to personalize your next party and add that special touch to make it memorable. DIY packages DO NOT include any printed items. Invitations are sold seperately. You will receive a digital PDF file containing all of the below items personalized with your name that you will print and assemble yourself. • 1 table sign 8x10 "Happy Birthday"
• name banner (1st name only) each circle is 6"
Ready-To-Use party packages for 12 available NOW! Click here to order. Includes everything in the DIY package printed, assembled and shipped to you ready to use for 12 guests. 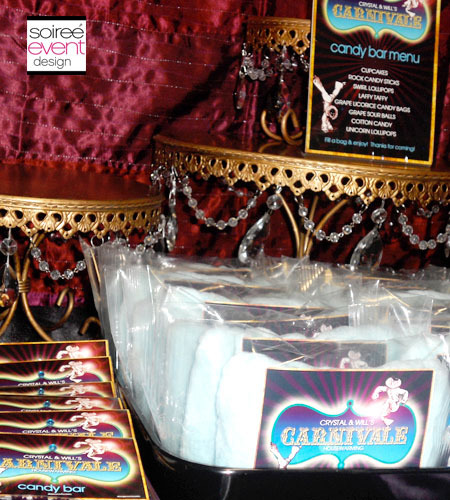 If you have more than 12 guests, please email: info@Soiree-EventDesignShop.com for a quote. 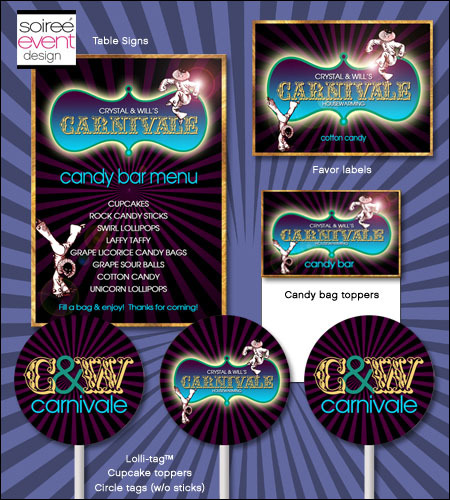 For ideas on how to use your printables, click here to see our "Carnivale! "© sweets bar photos for lots of inspiration! 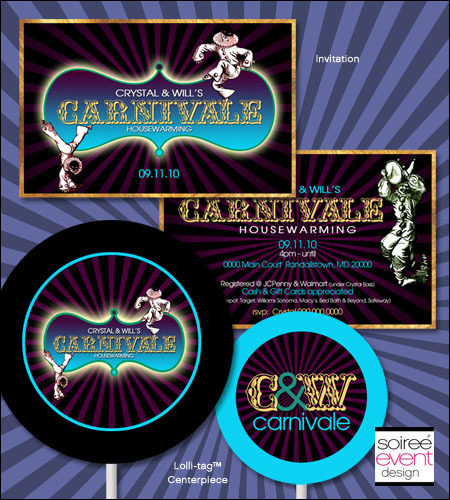 All artwork ©Soiree Event Design 2012. For one-time, personal use only. Resale of any artwork on this site is strictly prohibitted. Non-transferrable. Commercial use is strictly prohibited. Soiree Event Design © 2012 and beyond.